Our product range includes a wide range of brake liner. We are among the recognized names in the industry for supplying and trading Brake Linear for our valued customers. 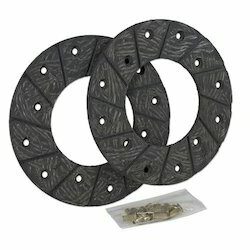 The offered brake liner is made in tune with the industry standards and has earned us loads of profits. It is used for providing insulation in cranes, lifts, concrete mixers and sugar mill centrifuges. This liner is resistant to high temperature and dimensionally precise. Looking for Brake Linear ?